Only the finest triple distilled whiskey distillates have been hand-selected to perfect Lambay Whiskey Small Batch Blend. A blend of malted barley and grain whiskey, is triple distilled, matured in bourbon barrels with a pleasant cognac cask finish. 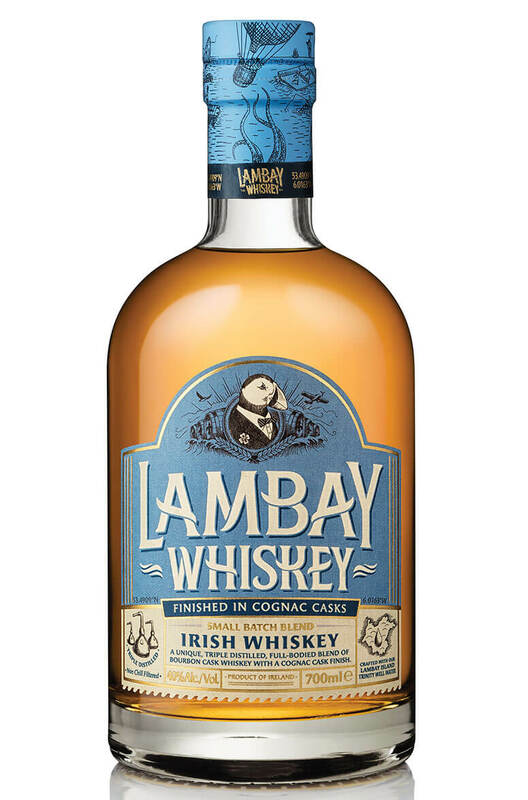 Lambay Island’s Trinity Well water is also used to craft this Irish whiskey making it as unique as the island itself. Palate (without water) Cracked almonds, pepper, malt, floral. A deliciously smooth yet complex unpeated single malt whiskey, triple distilled and finished in Fren..